When journalist Melissa Locker shared findings of a Northwestern University research study with readers of “Time” magazine in 2014, parents perked up. According to Nina Kraus–who directs the university’s Auditory Neuroscience Laboratory – children not only reap the benefits of music education, but engagement with and exposure to tunes, lyrics and musical instruments literally change the brains of children dramatically. Improved general academic performance is almost always a result of learning an instrument. Kids who learn to play an instrument show improved neural processing skills—research results captured when scientists placed electrodes on the heads of little musicians and watched their brains light up like Christmas trees once they engage with the music. Using these Northwestern University findings to convince authorities at an elementary school for low-income kids, the city of Los Angeles founded The Harmony Project in 2008. Since its inception, 93-percent of all seniors have gone on to college despite being surrounded by neighboring schools in which more than 50-percent of students drop out before graduation. The only difference? Mandatory music lessons added to the curriculum. Of course, we may be preaching to the choir if you’re reading this and are already convinced of the merits of The Mozart Effect, the first pioneering study conducted on the effect music has on children’s brains and their central nervous systems. Besides, you’re interested in taking this challenge one step further by finding and implementing a home-study music education program for your offspring. Good for you. We’d like to help. Besides, you’re interested in taking this challenge one step further by finding and implementing a home-study music education program for your offspring. Good for you. We’d like to help. 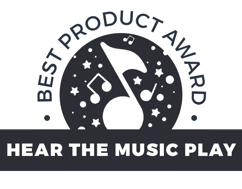 Making recommendations to parents about the best home music programs for their children is no easy task. Youngsters learn at different rates, react to instruction and criticism differently, and it’s important to factor in commonplace behavioral difficulties seen commonly in today’s society: specifically, the Autism spectrum, a diverse menu of attention and behavioral disorders, plus the distractions of social media. Congratulations on your commitment to add music instruction to your homeschooling program. To assist you, we’re privileged to have on our staff of reviewers and program analysts both musicians and educators who understand the nuances and foibles unique to kids and the instruments they play. 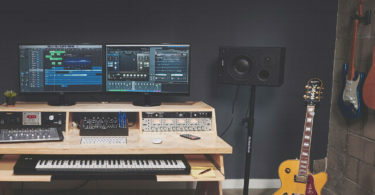 Having spent untold hours reading about various online music options, we were careful to cull legitimate education programs from those that are purely commercial, selecting a healthy mix of resources that are general and instrument-specific. We feel the need to mention that we’re parents, too! Since curricula play a critical role in educating children, we worked hard to separate the wheat from the chaff, checking the credentials of teachers and website principals to make certain these musicians /instructors know what they’re talking about. After all, it takes next to nothing to turn a kid off if the instruction and information they receive is not age-appropriate, relevant or missing the fun factor. We feel comfortable with the seven resources we picked and hope you find what you’re looking for among them. Designed to maximize curiosity while allowing for impatience, kids will find the interactive methodology to be fun, simple, and fast. Curricula is clear, even for parents who are clueless about music theory and practice. According to music therapists and historians, home-based music lessons and therapy have deep roots in ancient societies. Historians and anthropologists have found myriad mentions of it within the pages of Western history books, including the writings of Greek philosophers Plato and Aristotle. In fact, Michigan State University (MSU) opened the world’s first music therapy degree program focused on using music to socialize children in 1944. While age played a part in how recipients fared, the program proved so successful, other universities created their own programs using the MSU a model. If you’re interested in knowing more about the origins of music-specific therapy for adults and kids and don’t mind wading through a river of pedantic nomenclature, read this report on music therapy used at day care centers published in 1964. It provides a foundation for the development of the science promoting the merits of adding music to curricula. By initiating a home-based music program for your child, you will enter well-trod territory! Dr. Robert A. Cutietta, Dean of the University of Southern California’s Thornton School of Music and author of the text “Raising Musical Kids,” urges parents to consider the age(es) of their child(ren) before running out and renting a flute. Music aficionados who have read too many tales of child prodigies (e.g. 8-year-old Mozart writing his first symphony) may believe that as soon as a child can wrap his tiny fingers around a violin bow, it’s time for lessons. On the other hand, there’s a growing body of evidence, says Dr. Cutietta, that there is a distinct “window of opportunity” extending from birth to age 9, during which time the brain has the ability to differentiate music from other communication forms. This doesn’t mean that a drum set is in order, but this age span is a good time to begin exposing children to all types of music via listening, singing and perhaps toy instruments. Using early conditioning, by the time your child is three, she may be ready to explore the joys of melody, beats and instrument identification, so it’s a good time to assess your youngster’s precocity as a determinant for formal music instruction. 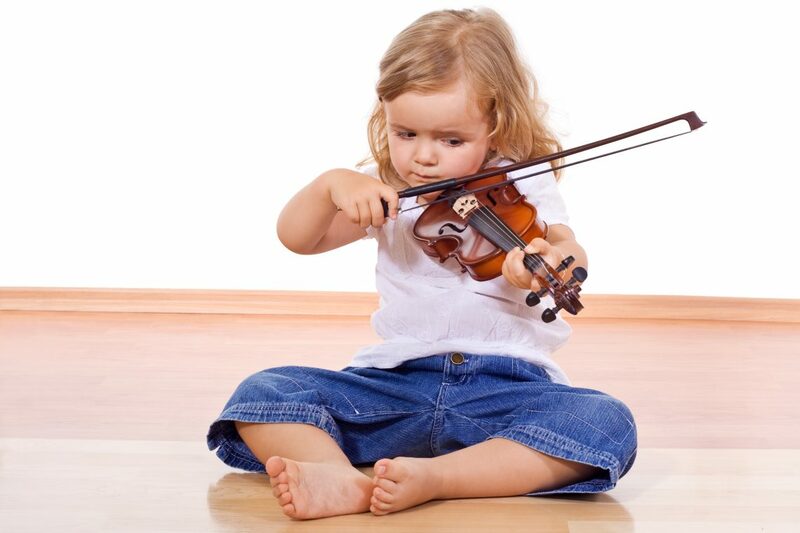 According to teachers specializing in the instruction of young children, you could interest a little one as young as five in lessons and the two most often-selected instruments are the piano and violin. Other popular starter picks are the recorder, ukulele, and guitar, any of which may be the instrument that interests your child. Studies prove that if a child is exposed to an instrument properly at age five and his interest is sustained over time, he may be ready for a larger or more complex instrument by the age of 10. Music teacher Marcela De Vivo knows a thing or two about the pros and cons of home-based music education because she’s been there and done that. Whether you intend to hire a teacher or you’re proficient enough to instruct your little one yourself, you’re going to find commonalities when comparing pros to cons of home music instruction. When a child is taught at home, you’re relieved of having to turn into a chauffeur, so you save time, gas and perhaps your disposition if you live a hectic lifestyle. Home is a great place to get comfortable with an instrument because it’s safe and familiar, and if you miss your regularly-scheduled music lesson due to last-minute changes in the family schedule, you can adjust the lesson time to suit this circumstance on the fly. – Kids tend to be more easily distracted when they’re away from home. – Your child may not be as comfortable outside the home as they are in residence. – Being on unfamiliar turf can undermine a child’s feeling of control and security, thereby impacting their attitude toward music lessons. Even before you begin the process of evaluating the growing list of home-based music programs currently on the market, you’ll want to establish a place in your home to begin imparting musical knowledge to your youngster. If you own a piano and intend to make that your child’s instrument, skip this section because you are one beat ahead of the movement. Are there reasons you may wish to intervene when it’s time to pick an instrument? Obviously, budget and availability can reduce a list of options and kids tend to make beelines for pricey instruments over less expensive ones! There is also plenty of evidence that they prefer noisy over quiet instruments, and don’t ignore the benefit of opting for a small, portable instrument that prevents you from becoming a Sherpa. When you’re ready to set up a “rehearsal and teaching area” within the confines of your home, pick an out-of-the-way corner that allows for playing and practice time that won’t disturb other family members. Choose a consistent time of day for lessons that won’t interfere with meals or activities already set in stone—and if you know that your child gets crabby and tired late in the afternoon, avoid those hours or risk turning him off to all music learning. Having set a specific time for music instruction, you may find that you have an easier time orienting your child if you start slowly and build up to perhaps an hour of instruction time. A pleasant experience means your little one becomes more invested in lessons and if you allow her to learn at her own pace—-not yours—-success is more likely. It goes without saying that no parent can lavish too much praise or positive feedback and reinforcement on their budding musician, particularly on days when learning isn’t going terribly well. That’s why one mom recommends placing this sign on the wall in your teaching area: Do-overs Are Always Permitted! There’s another element to consider when choosing a home music study program and it’s based on the work of E. Glenn Schellenberg, a University of Toronto at Mississauga professor whose life work has been spent determining what brain activities hype IQs. His pioneering study into 6-year-olds given weekly voice and piano lessons for nine months proved eye-opening. He measured the development of youngsters given regular music lessons against those of the same age who were not given music instruction and added a third group of kids who were given drama lessons only. Participants in all three ages groups had taken IQ tests before the clinical trial began and again nine months into the study. Results were exactly what Schellenberg hoped for: children in the piano/singing group tested three points higher on IQ scales than both other groups. What the professor didn’t foresee was that the music-only group exhibited fewer social skills than the others, a reminder to home-schooled children and parents that kids also need to spend consistent time interacting with their peers. A perennial favorite among parents, kids will find the interactive methodology to be fun, simple, and fast (and if you’re a beginning adult, this is a great way to learn, too!). A visit to the Piano Wizard Academy website offers a taste of what a family can expect if your child’s instrument is piano. Curricula is clear and understandable, even for parents who are clueless about music theory and practice. Designed to maximize a child’s curiosity while allowing for impatience, kids start at-home music lessons by playing the “Step One” video game that’s all about colors and shapes. Your job is to put matching stickers on the keyboard, so when a song begins, fun images like circles, stars or even dinosaur eggs populate the computer screen. Associations are made by the child as she matches colors and learns that if she presses a key on her keyboard in sequence, she can control the graphics and play a song. It’s fast. It’s fun. Talk about maximum brain engagement! Step two consists of the on-screen keyboard graphic moving to the left side of the screen as pictures move horizontally rather than vertically. Your child is becoming conditioned to read music as the pictures morph into real notes on sheet music. By the conclusion of Step Two, Tiffany or Timmy has likely begun to master the art of music reading—only they don’t yet know it! Advancing to Steps Three and Four using the Piano Wizard Academy methodology does more for your little music learner than just teach the basics of playing an instrument: positive rewards as mastery progresses continues to reinforce the relationship between notes and rhythm until it’s imprinted on your child’s brain. 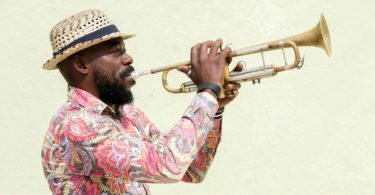 Note color still plays a big part, but since your youngster’s comfort level has deepened, his brain is ready to differentiate whole notes, quarter notes, sharps, flats and eighth notes. At this point, traditional black key art replaces colors. What started as sheer fun and joy becomes “the real thing” as your little musician transitions through this full-blown program of music education. Children learn all of the technical information required of a pianist, ranging from technique and phrasing to posture and dynamics. There are 100 lessons comprising the Academy curricula plus DVDs and traditional songbook instruction, all designed by musicians whose backgrounds as teachers are only surpassed by their history of performance. Perusing the Academy’s testimonials offered up with enthusiasm from satisfied (and sometimes ecstatic) parents can be spirit lifting. “Worth every penny we paid,” says a mom of four whose 7-, 10-, 15- and 17-year-old home-schooled kids formed the family’s very own quartet after being exposed to Piano Wizard. Big families rave about affordability since one program registration could accommodate the entire Duggar family and teleseminars personalize the experience for parents and kids alike. Moms and dads whose children have are on the Autism spectrum can’t contain their enthusiasm for Piano Wizard and parents who are themselves musicians or music teachers attest to this program’s benefits. We love the fact that parents actually sign their names to testimonials because they are that enthusiastic about their child’s progress. 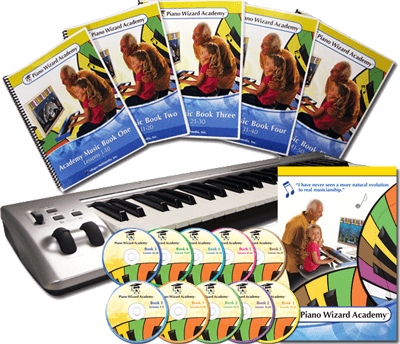 The cost of two versions of the Piano Wizard program runs between $500 and $600, but you can find discounts on the website order page that detail resources you receive with either option. Hesitant? Call around your community and see what piano teachers charge per hour (and that’s just for one child in the household) and you’ll be convinced. Mr. Hoffman had us at 57,837 music learners successfully matriculating courtesy of this website and fun learning modules. Mr. Hoffman (who loves to be called the “Mr. Rogers of Piano”), offers a unique and kid-friendly teaching methodology, says Dr. Susan Chan of Portland State University whose own musical chops are impressive. Included in this online curricula are technique, improvisation, sight reading, music theory, rhythm and solfege (Parents: that’s French for “ear training,” an important skill to acquire so a child isn’t always required to attach letter names to notes). How does the Hoffman Academy differ from Piano Wizard? For starters, this is program for folks who can’t come up with a huge chunk of change. Lessons are “paid off,” starting at around $15 monthly. Curricula are very much akin to the games, learning, practice exercises, acquisition of worksheets, print sheet music and streaming audio features like those used to train children on the Piano Wizard site. Got a piano? If not, Hoffman will even help in that department with buying advice. The Hoffman collection of learning aids includes more than 160 video lessons and there’s no initial charge to create a free account to see if your child likes what she sees and hears. Having amassed 10,034 likes on Facebook and an average 4.9 of 5 stars given the Hoffman System out of 149 reviews, there’s a reason Mr. Hoffman has even become a familiar TV personality. His track record is solid and he swears he specializes in teaching everyone from child protégés to youngsters on the Autism spectrum who aren’t known for their ability to concentrate on activities. Since 1997, Ann Zeise has encouraged parents to home school their children and worked assiduously to provide a program for youngsters ages pre-school to 5th grade in all types of subjects and disciplines. Zeise’s Music for Kids program is comprehensive, coordinates with academic curricula and these music lessons are “mostly free,” a boon to parents on shoestring budgets. Visit their website to scan information that ranges from the numerous ways children can learn music to obtaining resources, many of which are free. You can download material, use streaming music from popular movies your kids likely adore and receive instruction via access to around 500 online video lessons. You and your child are introduced to all sorts of books and resources like FiddleQuest and Wilbur’s Music & Blues, so A2Z Homes Cool is a place your child can master basic music notation and format in addition to receiving instruction in other school subjects. We found the Think Fun “Compose Yourself” Music Card Game link and music flash cards to be particularly inventive and original materials because they push a child’s creativity into high gear and could even lead to the most talented youngsters composing their own songs. This 20-year-old online resource could be the comprehensive music education hub you have been looking for. Parents need only download programs created for platforms that include Windows, Mac OSX and Linus—and there’s even a “Young Composers” segment that can turn a musically precocious kid into the next winner of American Idol. It’s non-traditional and so much fun, if you prefer a more spontaneous and impromptu approach to teaching music to children, you’re going to notice the difference in teaching approach immediately upon visiting the Daria Music website. The potential for your child to become enthused with the idea of learning about music and playing instruments is strong courtesy of the vibrant graphics and teaching approach conceived by folksinger Daria. Daria Music is not for parents whose idea of music mastery consists of training in the classics and perhaps a future gig with a symphony orchestra because Daria uses an offbeat approach to acquainting kids to the finer points of music education and her credentials verify her success. For 20 years Daria has traveled extensively and produced materials that pair fun with learning, encouraging even small children to become empowered via music. She has won Parent’s Choice, National Association for Parenting and Children’s Music Web awards for her innovations and specializes in helping homeschooling parents who believe that music plays a critical role in all facets of the learning process. 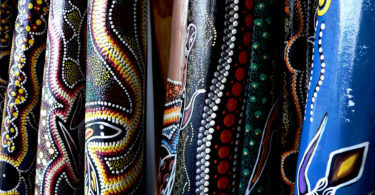 Daria’s mission includes encouraging youngsters to discover the joys of unique instruments in addition to classical ones–like didgeridoos, box drums and shekeres. Activities on her website include learning, listening, coloring and making instruments from materials found around the home. Videos and CDs are available on the site as are activities and crafts. If you’re seeking a less-than-formal way to introduce your youngsters to music, it doesn’t get any more laid-back and entertaining. Is the guitar the easiest instrument for kids to learn? Some say it’s the “coolest,” which is why a website dedicated strictly to parents and kids interested in playing this stringed instrument deserves to be part of our menu of recommendations. Andrew Keppie is the dude behind the curricula and his bona fides include a lifetime of performance art credentials, music degrees and he’s an accredited music teacher with the Queensland Department of Education in Australia. Using an amalgam of videos and website text, Keppie stresses the importance of buying the right guitar by devoting an entire page on his website to helping families choose, and his tips on how much you should pay for an instrument are extremely useful for parents who know they want their children to learn guitar but don’t know much about purchasing an instrument. Keep your wallet in your pocket for lessons! 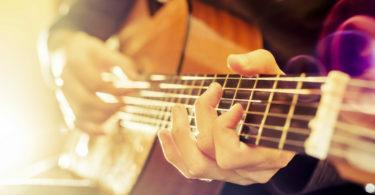 Using guitar pick graphics that run the length of the scrolled home page, click on lessons one through 10 and the world of guitar playing will be revealed to your youngster by this talented Aussie musician. Kids who are slow learners don’t have to rush through any of the lessons; they can stay put until they master the information and move on—a great benefit for children who get discouraged if forced to learn at a pace that’s uncomfortable for the way their brains are wired. Any parent willing to let their child play drums at home deserves a fun resource to launch their child’s musical education! Army of Drummers is unlike other music education websites created for kids and parents who want to learn to play an instrument and receive a general music education at home. Just don’t let the “Beginner Boot Camp” introduction scare you when you peruse this fun-to-explore website. Here’s how the Army of Drummers program works: You sign up and receive a free online drum lesson weekly via video. 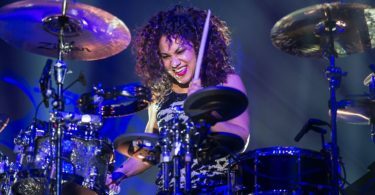 These lessons include set-up and maintenance of your instrument in addition to technique and theory. 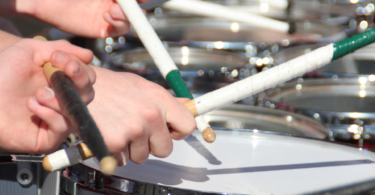 Once your child becomes enmeshed in the learning process, he could be featured on the website as “student of the month” if you submit a video showing his drumming acumen, so notoriety could come free with these percussion lessons, too. The Army of Drummers’ starter kit doesn’t cost a cent to preview but you will get a taste of what to expect by sampling two music lessons that include videos on learning to play drums in five minutes, a formula for how to count like a drummer (another video) and a 20-percent-off incentive on the price of the Boot Camp itself. Once in the system, parents and mini-drummers gain access to member’s-only materials that include PDF downloads to reinforce video lessons. Endorsement for the program from prominent newspapers, TV stations and organizations add credibility to the Army of Drummers reputation, so if your child really, really wants to bang on a drum and you’re willing to smile and be supportive, go for it. When the Suzuki Violin Method was introduced to the world by its inventor Shinichi Suzuki in the mid-1960s, parents eager to raise concert violinists rejoiced when they learned that this methodology did more than offer music instruction; it was also designed to build good moral character in youngsters. The Suzuki method continues to be the approach of choice for parents, and now you can borrow what’s best about the program and make it part of your home-schooling initiative by choosing the online version Teach Suzuki Violin. The site’s webmaster John Berger uses a variety of resources to appeal to young and old alike: blogging, teaching tips, violin selection and entertaining information that help kids and parents focused and interested. The websites resource page is packed with free instructional guides and free scores for well-known and timeless violin pieces that span all interests, from the Happy Farmer score and Minuet in G to Vivaldi concertos. Download as much free software and games as you like, and should you wish to purchase recommended recordings to accompany your lessons, acquire them using site links. Many music programs address the issue of teaching children on the Autism spectrum, and Teach Suzuki Violin is no exception, but what stands out most is the site’s claim that it has had so much success teaching children with attention deficit disorders. If you’ve been eager to help your child learn an instrument but are fearful that his or her ADHD diagnosis doesn’t seem to fit with the patience it takes to learn violin, you may be surprised to learn that plenty of Suzuki-trained youngsters have had great success learning violin and sticking with it via this program. Not every parent is interested in committing to a specific music curriculum, just as not every parent has the same reasons for wanting their child to receive a music education. That’s why it’s a good idea to have one resource to turn to for future recommendations, advice, and tips on all aspects of music learning. We suggest the Children’s Music Workshop website as your ongoing resource because it’s filled with advocacy articles and video recommendations to make sure your child receives every advantage as you set about organizing your own at-home music-learning experience. Whether she’s banging away on a drum or thrilling you with a simple violin concerto, your commitment to giving your offspring a complete education that includes music is going to pay off big time in so many ways! We have always taken our children to lessons. It is very insightful to read that there can also be success with home based programs. I’m not sure if we would have the gusto to give it a go, but this article was still very interesting. Perhaps if one of the kids wants to try something new one day we’ll attempt a home program as an experiment ;).